It would be better to backup songs from your Android phone to computer if you haven’t had the copies on your computer, because you never know when your songs will lost due to factory resetting or virus attack. iMusic can do it for you with 2 simple steps. Download, install and run iMusic on your computer. After then, connect your Android device with the computer via a USB digital cable. When connected successfully, you can see the device appear under the “DEVICE” window. 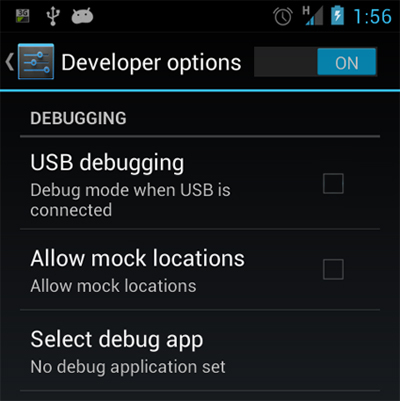 If you don’t see it appear there, enable the “USB Debugging” in Settings menu on your phone. Click “DEVICE” menu on the top of the software. From there, you have 3 options to backup songs from Android phone to PC or Mac. Option 1. 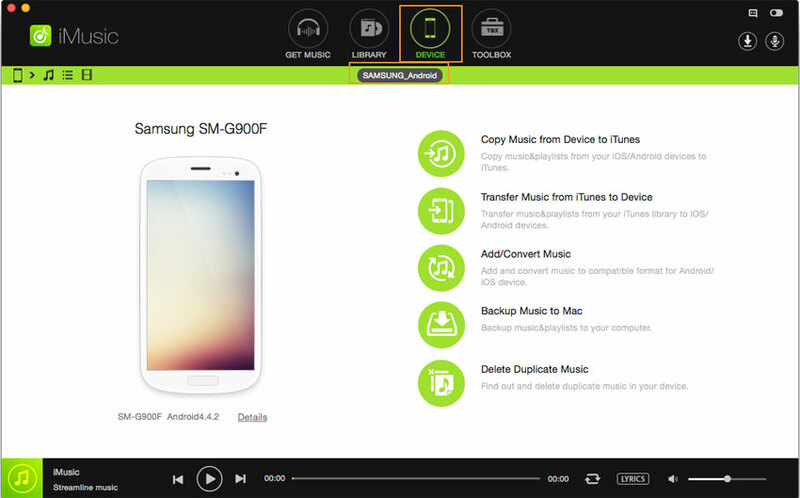 1-click to backup all songs and playlists from Android phone to computer: click the “Backup Music to PC”(for Windows PC) or “Backup Music to Mac” (for the Mac version), then find a destination on your computer to save the backed up songs and playlists. Option 2. 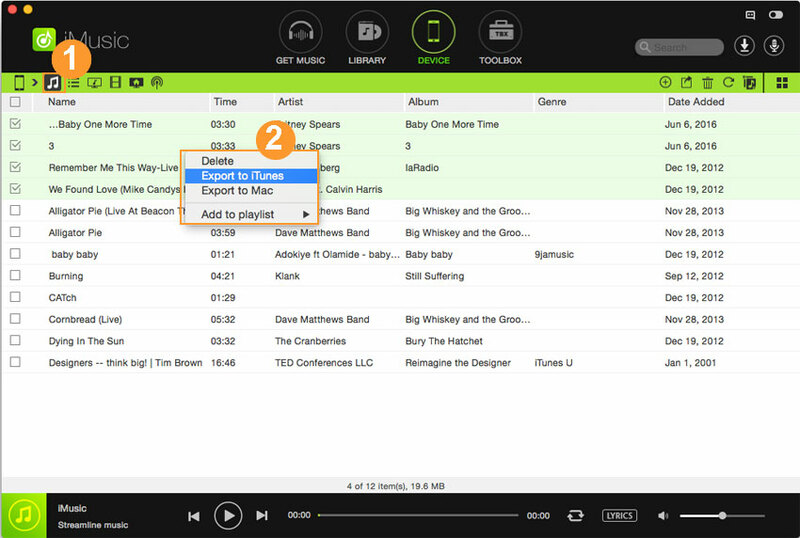 Backup selected songs from Android phone to computer: click the music icon on the left side of the window (the 2nd one) to show all songs on the Android phone. Check the ones you need, then click the 2nd icon – export icon > “Export to Mac”. Select a destination to save the backed up songs. Drag-n-drop is available to backup songs from Android phone to computer as well. 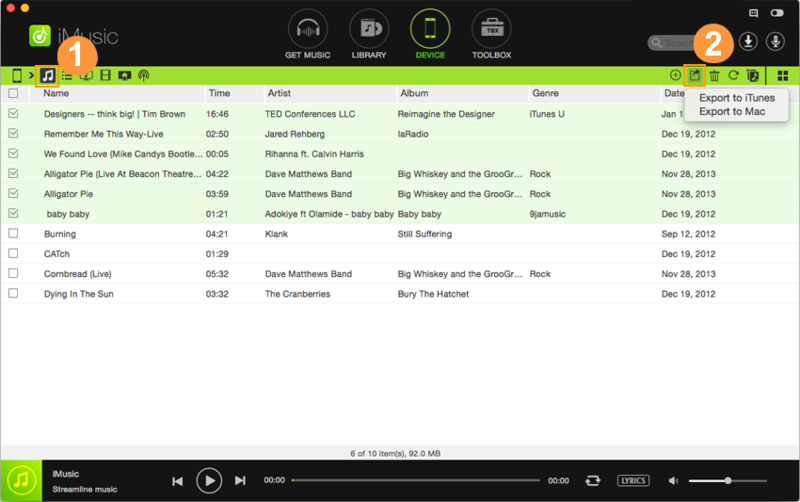 Select the needed songs, drag and drop them to a folder on your computer.